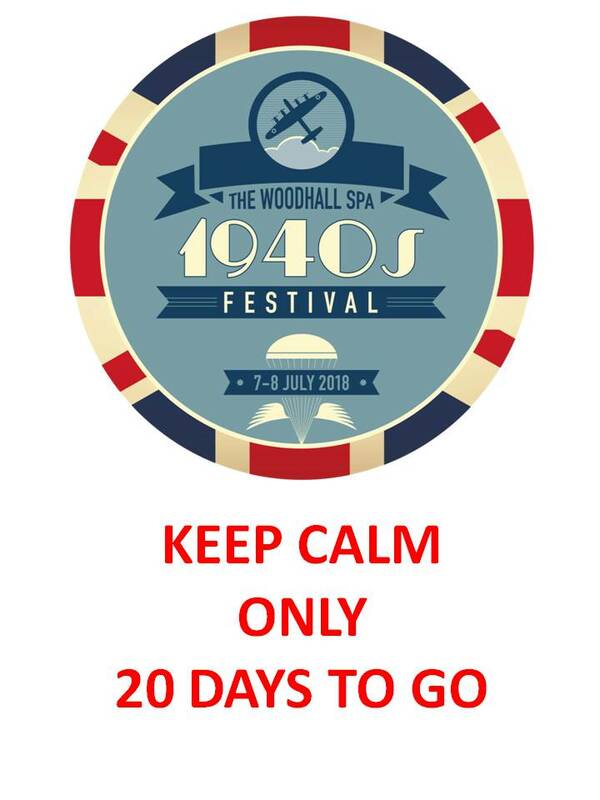 The end of June 2018 1940s Woodhall Spa Festival Draw took place during our 1940s Woodhall Spa Festival weekend. Kath Fairs of the Book Fayre was asked to participate in the Draw. The winning tickets were numbers 17, 111 and 122. Vouchers to the value of £75 have been sent to each of the lucky ticket holders. The Book Fayre is one of many local businesses accepting 1940s Woodhall Spa Festival Lottery Winner Vouchers. To be in with a chance of winning, please sign up to pay by Standing Order – quarterly £13, that is only a £1 a week! You can renew or sign up via the 1940s website. 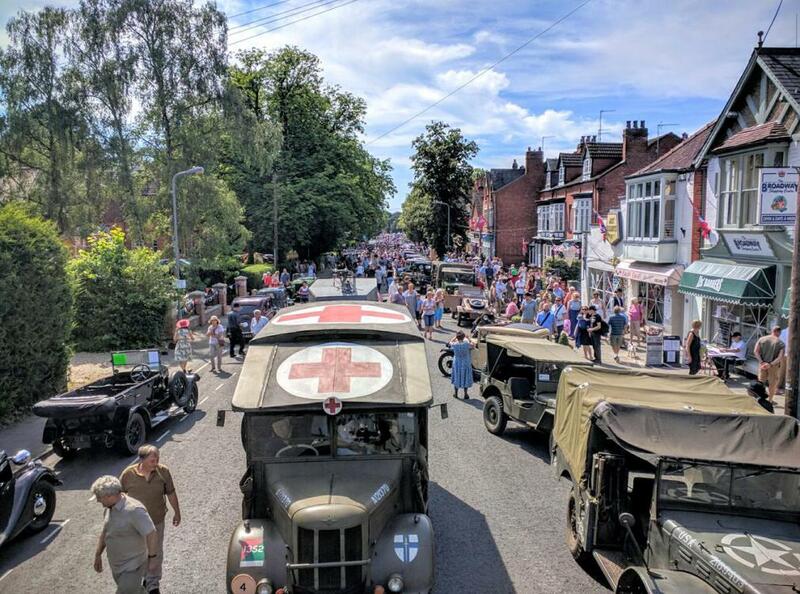 An estimated 40,000 people basked in glorious weather at this weekend’s Woodhall Spa 1940s Festival, and visitors and locals alike have taken to social media to praise the “seamless” organisation, excellent traffic and parking improvements and entertainments delivered despite the heat. Temperatures soared as high as the four Battle of Britain Memorial Flight flypasts, and visitor numbers also rode high. Attendance was on par with 2017’s event, with only the England v Sweden World Cup fixture drawing numbers slightly down on Saturday afternoon. Feedback given to its volunteer committee and to the festival’s Facebook site overwhelmingly show the event was a massive success. With the huge range of entertainments, dances and parties, re-enactments and living history groups, vintage and military vehicles, competitions, the event has been deemed an “amazing weekend” by visitors to the village. Many have also praised business owners and the Woodhall Spa community for their enthusiasm and welcoming nature. The additional spend on traffic management kept roads free of queues, and the increased number of shuttle buses ferrying visitors to and from the four car parks paid off, with reduced waiting times at the car parks and shuttle bus pick-up points. Councillor and Leader of ELDC Council Craig Leyland echoed Hunter’s comments, as he Tweeted “the organisation and generosity of the volunteers who make it happen…” as the highlight of his weekend. • Horncastle-based medics LIVES treated 50 people over the weekend (60% of which were for heat-related ailments) – double the number treated in 2017. Thanks go to the festival’s main sponsors The Petwood Hotel and The The Golf Hotel & Aqua Sante Spa – Woodhall Spa, our supporters Woodhall Country Park, The INN at Woodhall Spa and Eclipse Photographic, Dave Robson LBIPP EFIAP and SRP Hire Solutions for their logistical support. The organisers also wish to thanks the many individuals and groups who create the re-enactments, displays and living history features, the performers who entertain the crowds all weekend and the many volunteers who assist in the delivery of the show each year. The online ‘Park & Ride’ booking and pre-payment facility will close at 5pm on Friday 6th July. Military Re-enactment details yet to come! So where are you going on Saturday Night? Evening concert at Jubilee Park Bandstand starring the Garnett Sisters and the 78DJ. Licensed Bar in the gardens by the Bandstand. Once again Nikki Barnard (Vintique) is running our 1940’s Best Dressed Competition. Nikki and the judges will be out and about during the day selecting the finalists. Final judging on Saturday and Sunday will be in Royal Square at 3.30pm. Prizes will be awarded on both days to the best man, woman, boy and girl. Prizes are a bottle of champagne for each adult winner and £10 for the children. 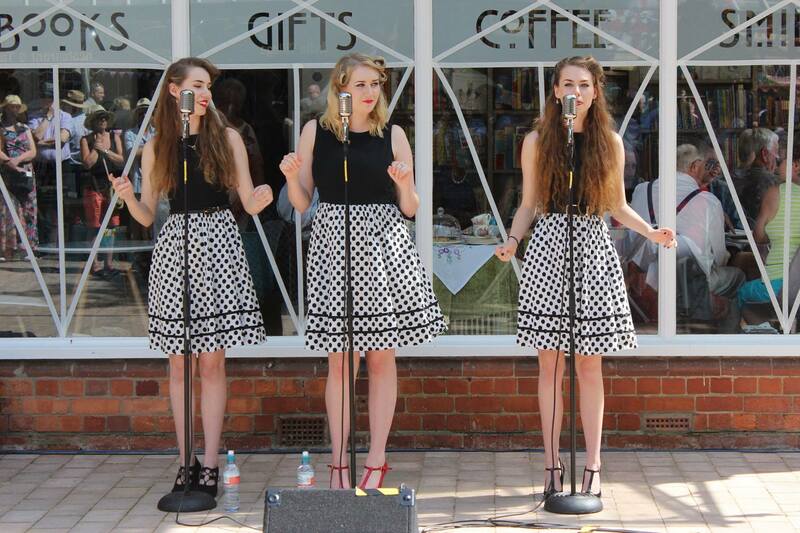 A variety of musical entertainment in the beautiful grounds of the Petwood Hotel and it is free! The Petwood is a major venue and major sponsor for the Festival. 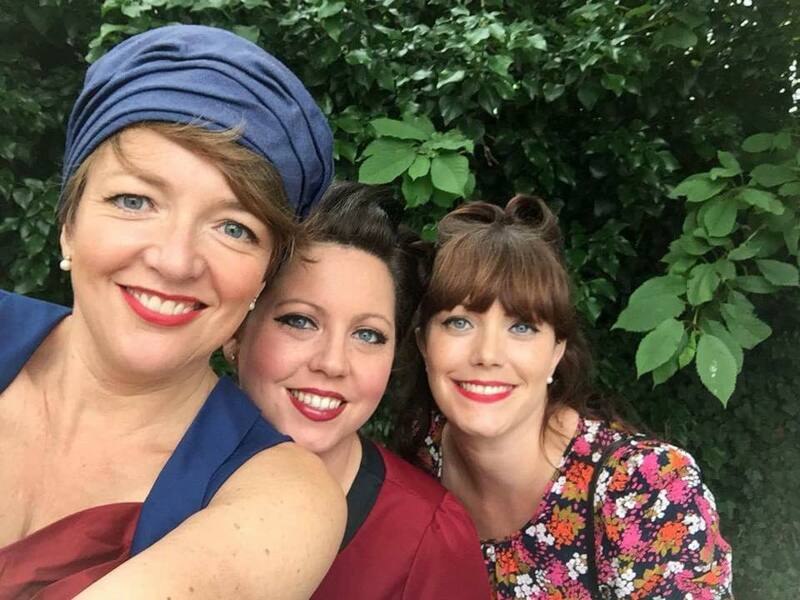 We are a 1940’s trio act inspired by artists such as The Andrews Sisters, Ella Fitzgerald, Doris Day and many more!